‘Stand up. Be proud. Never look back.’ These are small phrases made for men with big hearts and aspirations in life. One should never look down or back, always look up and ahead of what’s in front of you. Don’t worry about the past or what may or may not happen in the future. Always live in the present and be grateful for what you have, if you are small or tall, don’t be ashamed at all. Tall is described as having a relatively great height, of more than the average stature. This polo is made to suit the needs of tall people, to ensure there is comfort for all sizes. We want our customers to understand that we do the utmost to ensure the customer is top priority in terms of comfort, style and performance. Our legendary Silk Touch Performance Polo comes in an array of colours, including: Black, Bright Purple, Brilliant Blue, Carolina Blue, Dark Green, Lime, Maroon, Navy, Neon Orange, Neon Yellow, Pink Raspberry, Red, Royal, Steel Grey, Teal Green and White. 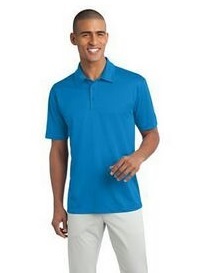 This polo weighs 3.9 ounces and is made out of 100% catioinic polyester with a double knit feature. This light material ensures the person wearing it will have a popular item of clothing in their closet as it is fit for any occasion or event, whether its for leisure, sport or relaxation. It’s self-fabric, tag-free label gives the user a sense of freedom, as the silky smooth feel will allow the person to simply express themselves as they will be in a state of sincere comfort. The 3-button placket with dyed to match buttons give a perception away as if there is no buttons at all, as they blend in nicely to the colour of the polo. It’s set-in open cuff sleeves allow for plenty of circulation and breathing space so that this well fitted polo has vents on the pits of it’s design to let the you enjoy your day without experiencing any discomfort. Other features include a double-needle sleeve cuffs and hem. From wearing the Silk Touch Performance Polo, what will be most fascinating to you is the ability to utilise the same polo for so many different tasks, whether they be formal or informal. The silk touch gives an extra value and benefit, which gives a classy vibe to the naked eye.